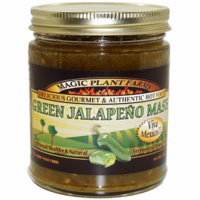 Product Details: Have you ever tried to make your own hot sauce at home and it never has that great taste of your favorite store-bought sauces? That's probably because you aren't using an aged pepper mash as your base. 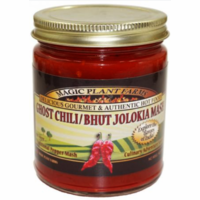 To make this specialty product, they take fresh peppers, mix them with salt, and ferment them over time. 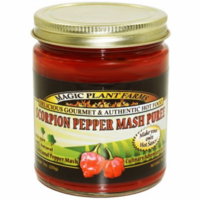 Then, the aged peppers are blended to a thick puree and mixed with a little citric acid to keep it all shelf stable. It tastes great all by itself, or mixed with ingredients of your choosing to create a homemade hot sauce, spicy barbecue sauce, etc. 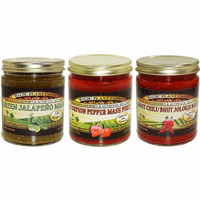 We offer the 3 hottest peppers in the world plus America's favorite chili.